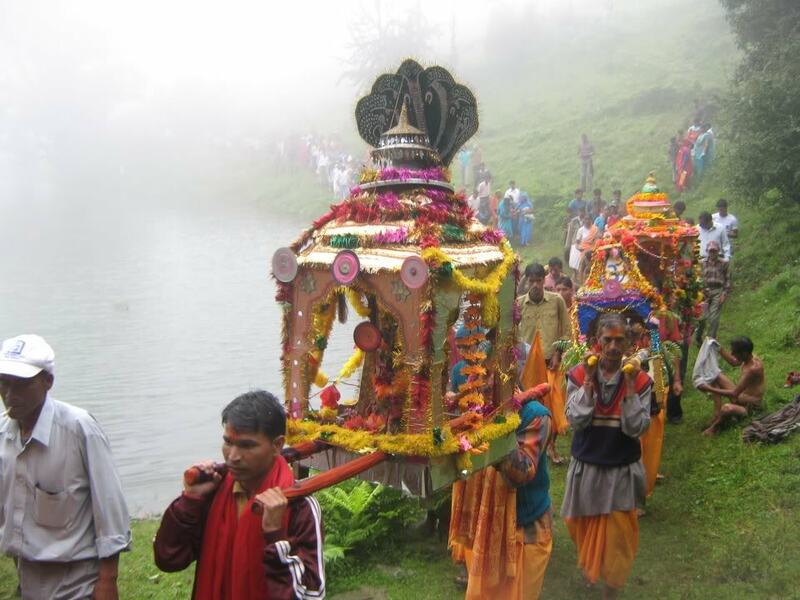 The famed Nanda Devi Jaat Yatra, held after every 12 years in Uttarakhand hill state of north India, will not be postponed in wake of the recent rain tragedy in Kedarnath, Chamoli, Rudraprayg areas, which left scores dead and entire hill state shaken. Although, district authorities have suggested keeping it at a local level this time saying they are not in a position to handle big crowds. 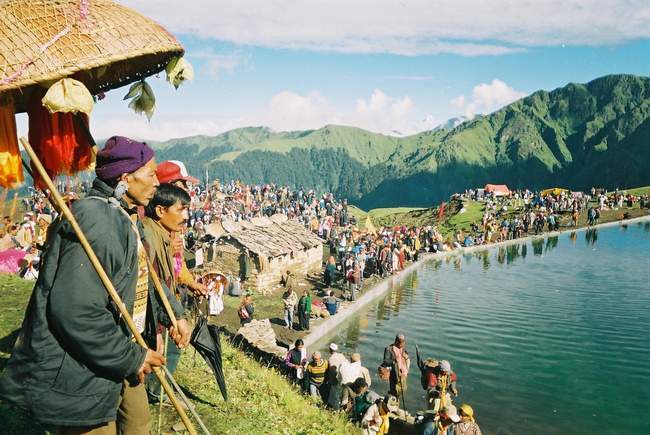 The Nanda Raj Jaat, known as the Kumbh of Uttarakhand, is slated to be held from August 29 to September 16, 2013. The 280 km and 19-day trek starts from Nauti village and reaches Homkund through Bedini Bugyal, Roopkund and the very difficult Gali pass. who want it to go on. It is a religious issue and local sentiments are attached with it. 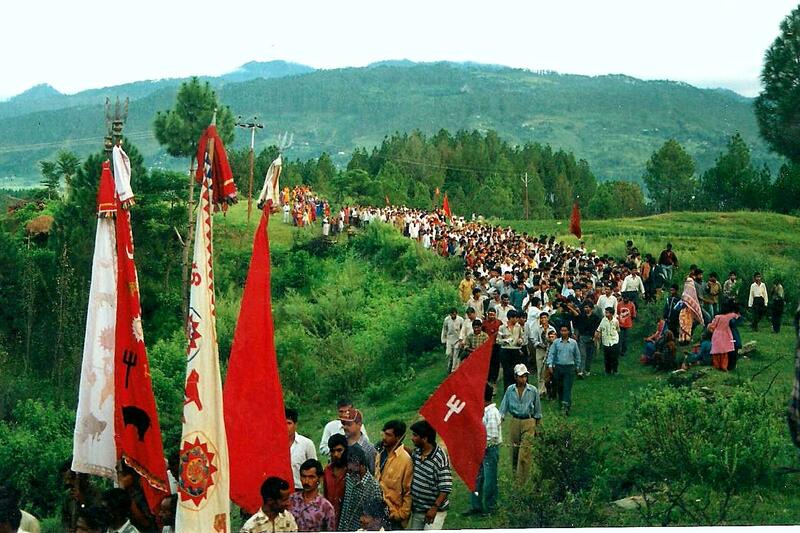 Last Yatra happened in 2000. Hence this time it was originally scheduled in 2012 but was postponed to this year due to Malmaas (one inauspicious month) in the last year. Normally thousands of pilgrims from across the world take part in the march. However, the district administration has warned that they are not in position to handle large gatherings hence the yatra should be held at a local level. It is difficult but the yatra will go on as of now. After the natural calamity and continuous rains and landslides the road network is badly damaged. Administration cannot handle big crowds and even mini vehicles won’t be allowed. It has been suggested to allow only locals and fit people. For the first time there will be a database of all the pilgrims. Uttarakhand state would be doing this exercise for the first time. Although it is going to be very challenging. Due to bad weather administration could not do the minimum preparation needed. If Yatra is organised on big scale, it will be considered risky. A meeting will be held soon to discuss the arrangements, precautions and security measures of the yatra. Since this is a religious issue, government cannot interfere in this. It is appealing people to organise it at very small scale. There will be additional precautionary measures but it will be decided after the meeting. Organisers, Nanda Devi Raj Jaat committee, have requested the state government to involve ITBP for handling the security aspect. Extra precautions need to be taken after the Kedarnath tragedy. Hence state government was urged to involve ITBP jawans to assure safety of this yatra. Nanda Devi is the supreme goddess of locals of Garhwal and Kumaon region. She visits her maternal dwelling in these Himalayan heights in hindu calendar month of Bhadrapad (August and September) and the festival is celebrated by the natives in every 12 years. Next page Next post: Pamban Bridge enters hundredth year!